Ha no other guide has quite the cult following as Nat Geo. I don't mean this as a knock on Nat Geo as much as to point out that every book has a set of drawbacks. I've always found Nat Geo to be too cramped and confusing, with not as many plumages illustrated as I'd like (though, looking at plates online, it's better than I remember). 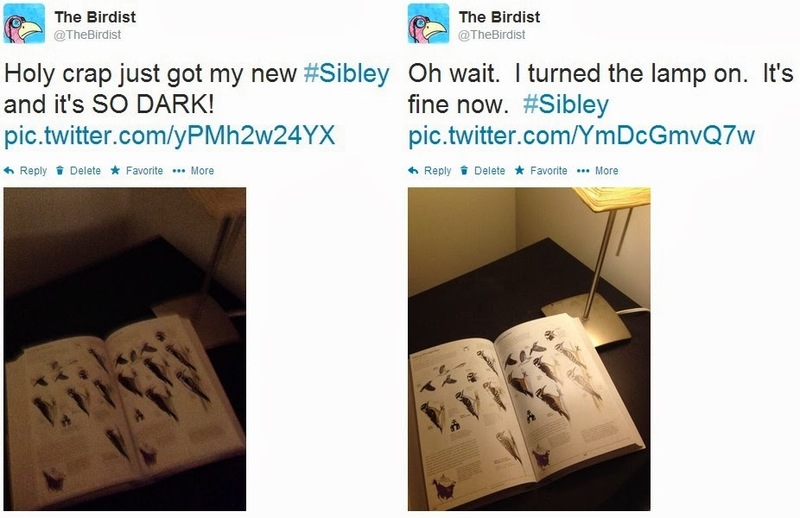 I prefer Sibley's method of having each bird face the same direction to the slightly more action-oriented poses of Nat Geo. Perhaps "too limited" was the wrong phrase. In all seriousness, though, lighting makes a big difference in how dark the colors appear. I noticed that when I was evaluating the members of the cardinal family prior to writing my own review. When I brought the book closer to a light, suddenly the colors looked more vibrant. The scarlet tanager isn't a big deal, but check out the Royal and Caspian Tern bills, the black-legged gull, and the crossbills. 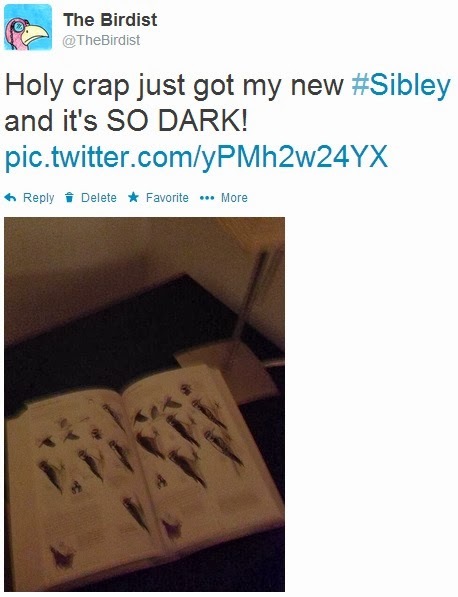 I agree that Sibley is the best guide out there, but those are serious flaws that should have been dealt with prior to publishing. I bought Sibley's Second on holiday in Arizona last week. It's great, but noticed that the family names for the Black-Necked Stilt and American Avocet are reversed in the introductory section for those birds. Maybe not a major mistake, but it makes me wonder how many others there might be. Michael, there are a few such errors in the captions, but happily, that's the sort of thing easily remedied in the next printing.